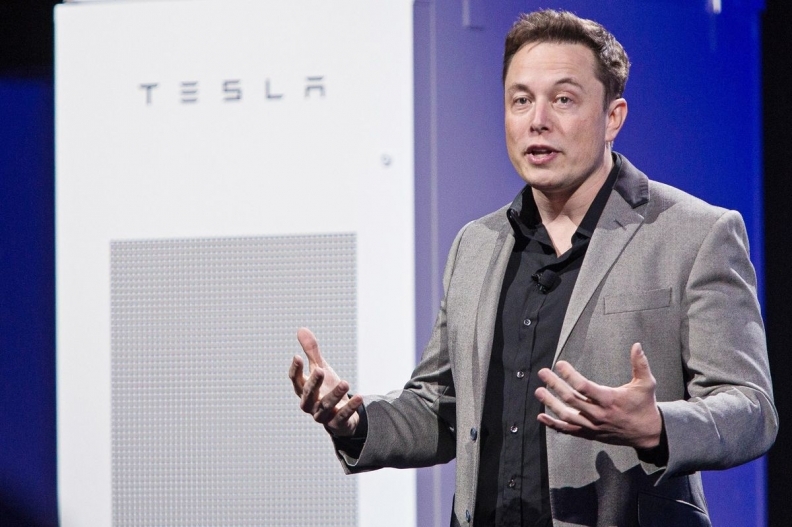 Elon Musk: "AI is a fundamental risk to the existence of human civilization." SAN FRANCISCO -- Silicon Valley baron Elon Musk insulted rival billionaire Mark Zuckerberg on Tuesday, escalating a tech wizard war of words over whether robots will become smart enough to kill their human creators. "His understanding of the subject is limited," Musk said in a tweet about the Facebook Inc founder whose algorithms and other technology revolutionized social media and won 2 billion monthly active users. Previously, Zuckerberg was asked about Musk's views on the dangers of robots. In his response, Zuckerberg chided "naysayers" whose "doomsday scenarios" were "irresponsible." Zuckerberg and Musk, CEO of electric car maker Tesla Inc. and rocket company SpaceX, have been waging a debate at a distance over the past few days on the dangers of artificial intelligence. The two sharply disagree on whether tougher government regulation is needed for the technology. Facebook did not immediately respond to a request for comment on the tweet. The term artificial intelligence, or AI, is used to describe machines with computer code that learns as it goes. The technology is becoming widely used in sectors such as healthcare, entertainment and banking. Musk told a gathering of U.S. governors this month that the potential dangers are not so imaginary, and that they should move to regulate AI. "I keep sounding the alarm bell, but until people see robots going down the street killing people, they don't know how to react, because it seems so ethereal," Musk said, according to a video of the event. "AI is a fundamental risk to the existence of human civilization," he added. On Sunday, Zuckerberg was streaming video live on Facebook while grilling brisket at home and answering viewers' questions when someone asked him to weigh in on Musk's comments. "I'm really optimistic," Zuckerberg countered, "and I think that people who are naysayers and try to drum up these doomsday scenarios, I don't understand it. "It's really negative, and in some ways I actually think it's pretty irresponsible." Zuckerberg said AI could result in better diagnoses of diseases and the elimination of car wrecks, and he said he did not see how "in good conscience" people could want to slow down the development of AI through regulation. 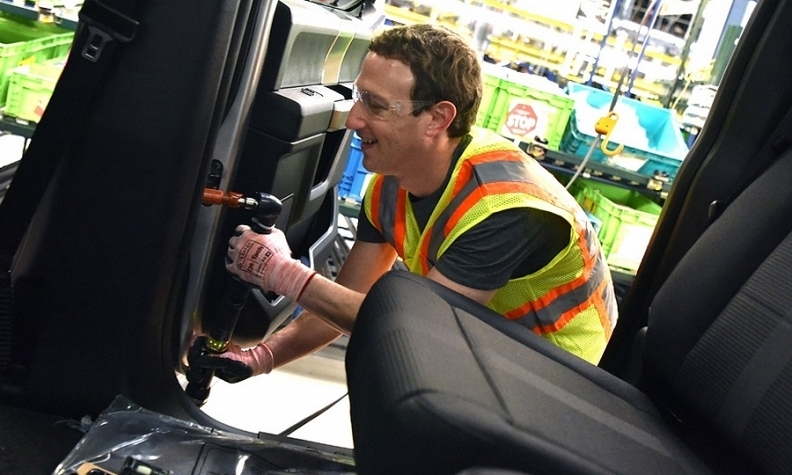 Facebook CEO Mark Zuckerberg, pictured during a trip to Ford's Rouge plant in April, said AI could result in better diagnoses of diseases and the elimination of car wrecks.